Conservative rivals of Iran's president have claimed control of parliament with more than two-thirds of the seats decided from elections handing the ruling Islamic establishment near seamless control in the escalating nuclear standoff with the West. Ahmadinejad — once considered a favoured son of Iran's theocracy — is left politically weakened moving into his final 18 months in office and could become the first president to be questioned by a hostile parliament since the 1979 Islamic Revolution. Although the 290-seat parliament holds little control over policy matters such as Iran's nuclear program, the win by hardliners looked to reinforce Iran's stiff rejection of Western pressure to stop its uranium enrichment program. Speaking in Washington Sunday, U.S. President Barack Obama warned that the U.S. would not hesitate to use military force to prevent Iran from obtaining nuclear weapons, but he called for restraint. "Now is the time to let our increased pressure sink in, and to sustain the broad international coalition that we have built," he told a pro-Israel lobby. 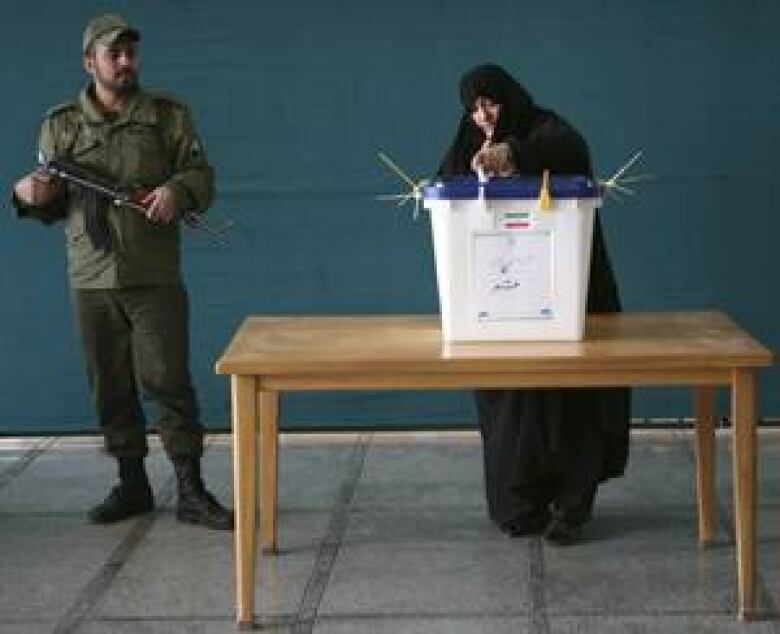 In Iran, hardliners were claiming victory in the parliamentary elections, though vote-counting continues. Ahmadinejad and Khamenei started out as close allies, but rifts developed as the president sought to put his stamp on key government posts traditionally under the direct control of the supreme leader. A major break occurred last April when Ahmadinejad boycotted government meetings for more than a week in a personal protest over Khamenei's order to reinstate the intelligence minister. The current parliament — which remains in session until the new chamber is seated in late May — is expected to move ahead with an order to bring Ahmadinejad for public questioning over accusations that include economic mismanagement at a time when Iran is being battered by expanded Western sanctions over its nuclear program, targeting its ability to conduct international banking and sell oil. Ahmadinejad also is expected to face grilling over his feud with Khamenei. 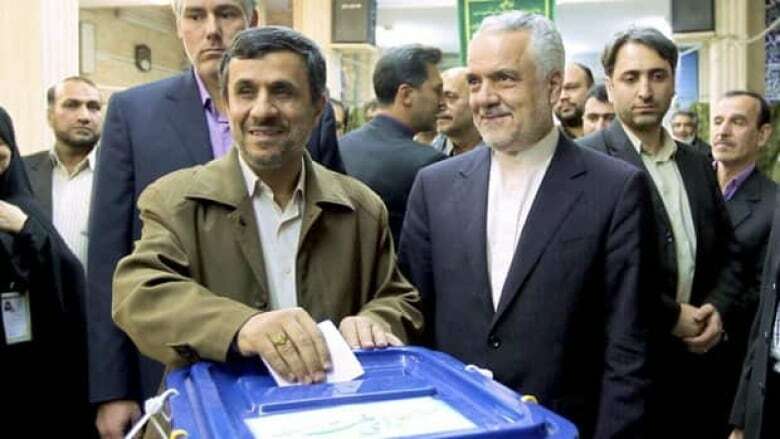 Mohammad Reza Bahonar, an Ahmadinejad supporter-turned-opponent, claimed that the president's rivals have won 80 per cent of the seats decided so far. It's difficult to independently verify the prediction. In the absence of genuine political parties, it's almost impossible to say whether centrist candidates and others will fall in line with the ruling establishment. Even so, it's already clear that the theocracy now has a clear path to shape the election to succeed Ahmadinejad next year. Only a strong showing by Ahmadinejad's allies in the parliamentary races would have given him enough leverage to press for a protégé among the candidates, who are vetted by the ruling clerics.